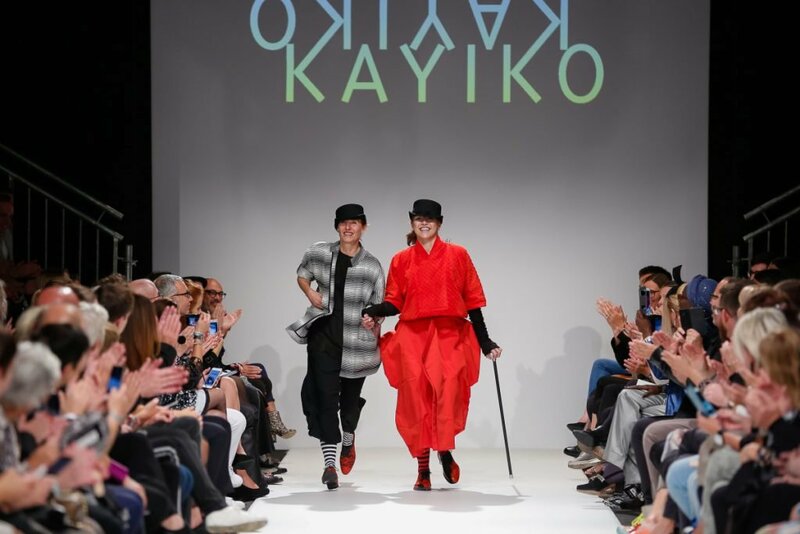 A circus mood prevailed, and a very chic circus at that, with the presentation of KAYIKO’s Winter 2018 collection. A Yohji-like obsession with volume was updated with a range of contrasting textures, bursts of crimson and designer Karin Oèbster’s signature accents of silver foil. The limited-edition pieces in Oèbster’s collections are all handcrafted in Vienna and you’ll probably have to visit KAYIKO’s shop in Austria’s capital (located in a lovely Baroque house in the 6th district) if you want some—or contact them at shop-vienna@kayiko.com. Dolly bird in a bowler cap.